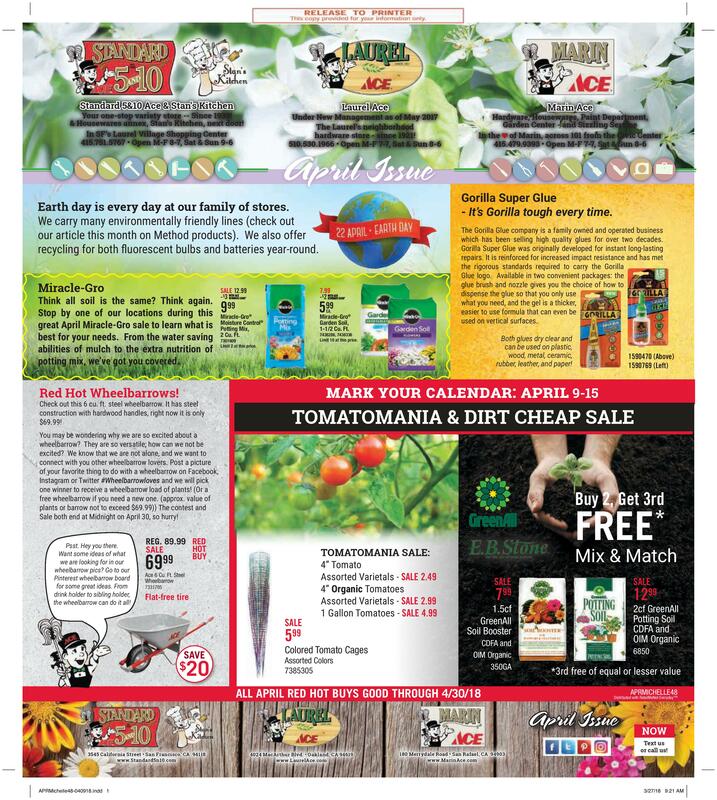 Page 1: Did you want to know what Scotts Miracle-Gro product to use for optimal vegetable and flower growth this spring? We have soil for container gardening and top soil for in-ground planting, we also have the ideal fertilizers and soil amendments for your vegetable patch. Do you want to know which Gorilla Glue to use for your fix-it project? Have you always wondered why super glue comes with different types of applicators? Are you looking for a great deal on everything that you need to grow tomatoes? We have tomato plants, tomato stands, tomato planters and fertilizers for great prices. 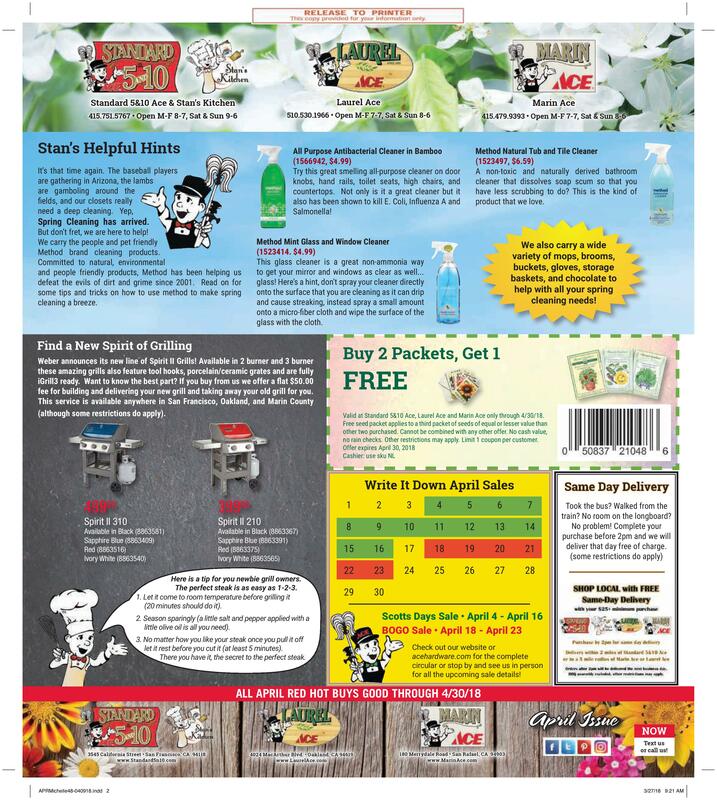 Page 2: Do you want to know how all-natural Method cleaning products can make your spring cleaning easier? We have tips on what non-toxic products to use for what cleaning project, as well as tips and tricks to make spring cleaning a snap. Want a sneak peek at Weber’s new line of Spirit II grills? Want to know what the difference is between a Spirit II grill and other products? Looking for some tips on how to cook the perfect steak? Want to save some money on great organic non-GMO heirloom seeds? Check out page two!